Have you ever wanted to be a Psychic Artist? Do you want to develop Intuitively, Creatively and Spiritually? Do you want to feel more Confident in your Creative or Intuitive Abilities? Would you like to create Spiritual Art and Understand its Meaning? Do you want to feel closer to your Spirit Guides? Would you like to help others by giving messages, readings and art? YOU WANT to enjoy painting as an expression of spiritual love and connection. 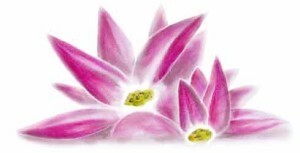 YOU ARE BEGINNING your journey OR already have some experience at psychic art. YOU WANT TO build confidence in your creative and intuitive abilities and your inner guidance. On this Psychic Art Course you will learn how to…. – CREATE the right state of mind for channelling psychic art. – CONNECT with the source of Creation. – UNDERSTAND when you are receiving messages, insights and guidance from Spirit and your highest self. – FINE-TUNE and develop your own intuitive senses abilities. – READ from your pictures, colour, symbols, lines, shapes and more. – TELL the difference between what is imagination, thoughts and spirit communication. – WORK in partnership with your spirit artist guide. – CREATE intuitive or psychic art for other people. The Art of Creative Consciousness Course was created by course leader International Psychic Artist Ros Coleman for creative, intuitive people who want to learn psychic art. 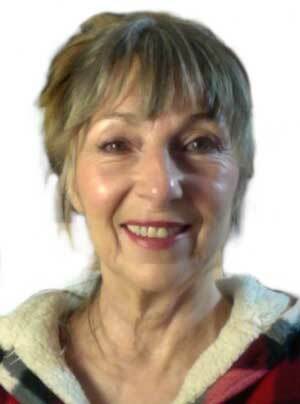 Ros was taught psychic art by teachers and artists in Spirit through meditation in 2004 and has worked as a full-time professional psychic artist since then. You will experience the same techniques and processes used by Ros’s spirit guides (more), in an environment of love, support and encouragement. The course is designed to encourage your natural abilities to unfold in line with your own individual creative style. To offer you their expertise and unique insights are angel channel, artist and author Alison Knox of Everyday Angels and Christina Bumble. Christina specialises in painting portraits of people in Spirit and giving their messages. Christina’s very first painting was of Ros’s sister (read in full here). Since then Christina has reunited many people in the physical world with evidential portraits of their loved ones in Spirit. The course runs from 1st August 2015 with 8 live, interactive webinars which are run weekly. Each webinar will be recorded so you will be able to listen and view the replays as many times as you wish. The classroom and all course materials, resources, webinars and replays are accessed online with your own login and password. When you have completed all the course modules, you will receive a beautiful certificate of completion. – covers a different topic and builds upon what you have learned week by week. – you will receive a beautifully illustrated and info-packed partwork. – you will see interviews with gifted psychic artists, video tutorials, meditation (if appropriate for that week) and creative/intuitive activities. – each partwork incorporates new material and adds to your understanding and experience. A guide to painting and drawing materials (every budget catered for). Pre-programme exercise for clarifying your intentions for the course. Belief work for those who are seeking to build confidence. How to access the creatively conscious zone. The difference between “imagination” and intuitive/spiritual communication. Introduction to spirit guides – what is and what is not their purpose with us. “I’m absolutely loving this eCourse. It’s a complete revelation for me. I just can’t thank you enough for introducing me to psychic art. It’s been a wonderful journey and I can’t wait to see where it takes me. Definitely the best thing I’ve done in such a long time! The eCourse has taught me to trust my intuition much more and not dismiss things because it’s a very quiet voice. It’s also been a complete revelation – never having been an artist my skills have improved throughout the eCourse and it’s been therapeutic as well as insightful. “This course has been amazing to me in so many ways. First it got me back to drawing again which has been surprisingly fun and emotionally uplifting. Can’t make the Live Class? The real-time value of this course is £3640. Do join us – if you want to learn psychic art you will LOVE this course.